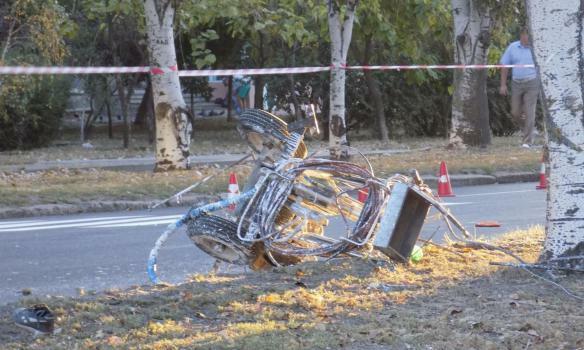 The fatal crash occurred in Mykolaiv last night. 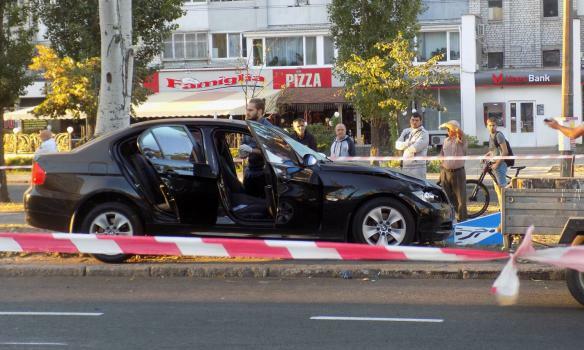 BMW driver knocked down and killed four road service employees. It was reported that the perpetrator escaped from the scene of the accident. According to eyewitnesses, the accident occurred at 4:45 a.m. on Thursday, September 15. Four road workers were painting lines on a crossing for pedestrians, high-visibility warning cones have been put, Nikvesti reported. BMW driver rammed the first machine for road marking, hit the workers and was discarded off the road, knocking down a road sign. "The doctors who came to the scene of the accident, certify the death of three men - they died from the strike of the car. Another worker was showing signs of life, but still, doctors couldn't save him. 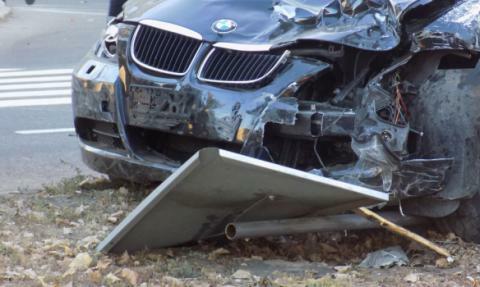 The driver survived due to the airbag, but instead of calling an ambulance, he escaped from the accident scene, leaving the bag with the documents inside the car. It took police officers an hour to catch him," - the newspaper writes. The arrested driver said he was not guilty, he even stated that his car was stolen the day before. At the same time, as noted by witnesses, the BMW driver's face and body were smeared with white paint. 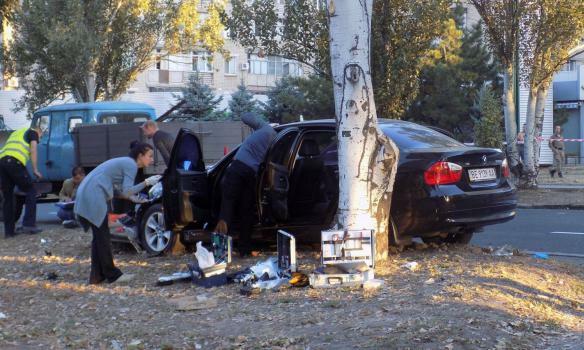 According to the press service of the regional police, the criminal proceeding was initiated under Part 3 of the Article 286 (safety rules violation or operation rules) of the Criminal Code of Ukraine. The driver faces from five to ten years in prison with deprivation of the right to drive for up to three years. Later, the police reported that the perpetrator of the accident was under the influence of alcohol. According to the preliminary information, the driver had his driver's license with him, and the car is registered to his mother, 112 Ukraine TV channel reported. Also, according to preliminary data, there were another two persons in the car.